The Loop is Chicago Community Area #32, and is bordered by Lake Michigan on the east, by the Chicago River on the north and west and by Roosevelt Road on the south, and within this small area exists dozens of national and city landmarks, and canyons of skyscrapers, set on top of double and triple leveled streets, intersected and sharing space with el trains. 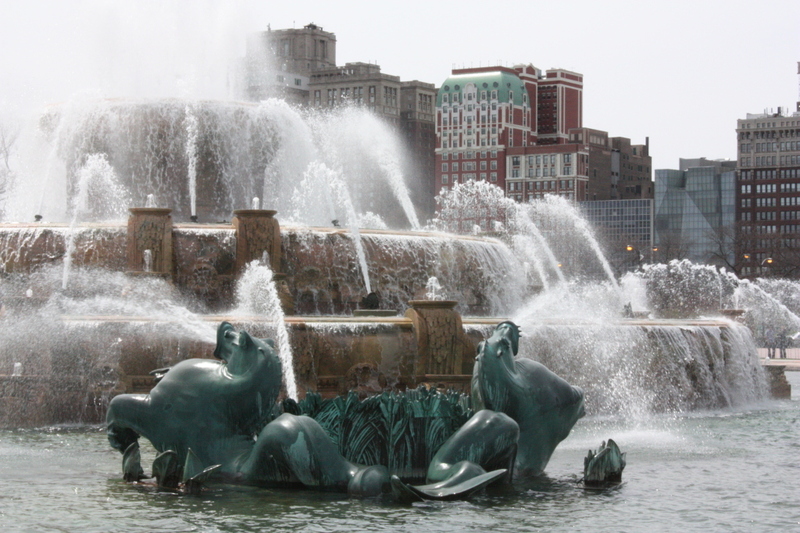 It is the seat of government for the city of Chicago and Cook County. 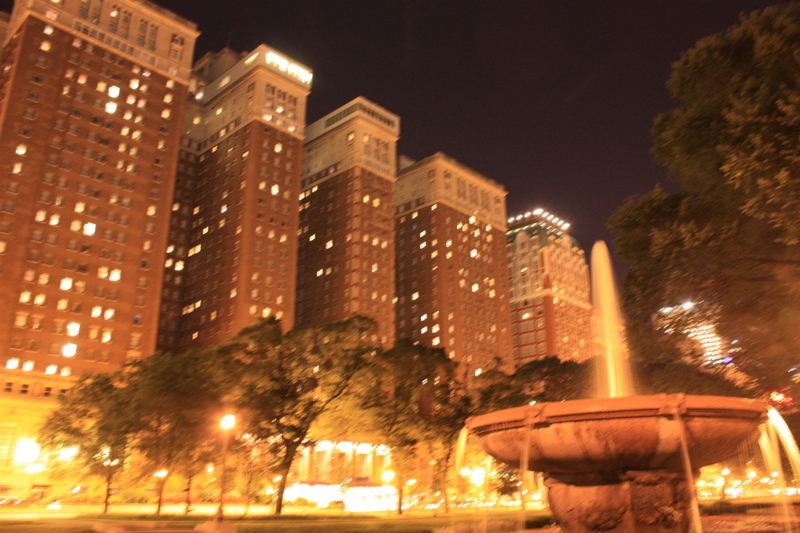 The term the Loop is often used synonymously with downtown Chicago, and it does indeed represent the central business district of the downtown area. Still, many of the iconic buildings that people associate with downtown Chicago like the Field Museum, Wrigley Building, Merchandise Mart, Union Station and the Water Tower all lie outside of the Loop proper, and most Chicagoans have an understanding of downtown Chicago as being larger than the Loop itself, and more representing the core commerce district of the city spilling over into the Near North Side, Near West Side and Near South Side which surround it on three sides, Lake Michigan on the east. The term the Loop is most frequently thought to originate from the loop that the cable cars made at the turnabouts along State, Lake, Wabash and Madison. Later it referred to the Union Elevated Line, an el train that connected the various independent el train companies to one another in a central business district Loop. The use of a track system above the city streets helped create a city that was more mobile and flexible and eased congestion from the traffic snarling cable cars that could only run on the same streets as the rest of traffic. The Loop el was developed by banker Charles Tyson Yerkes and designed by engineer John Waddell and was the most profoundly impacting of the elevated lines in terms of growth of the city’s core, by allowing two levels of activity to occur independently and simultaneously, while the multi-level streets added additional layers of activity. 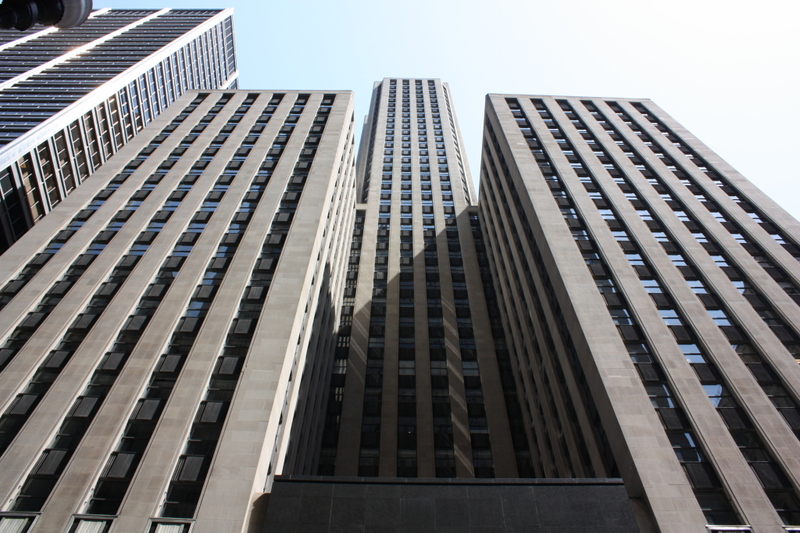 The amount of impressive buildings by the greatest architects in the world that are present in the Loop is second to none and is one of the primary reasons Chicago can boast of being the City of Architecture. Architects that go by single names and are just as easily identified. Sullivan, Burnham, Perkins, Mies, Adler, Jenney, Olmstead, Holabird,Roche and countless others. 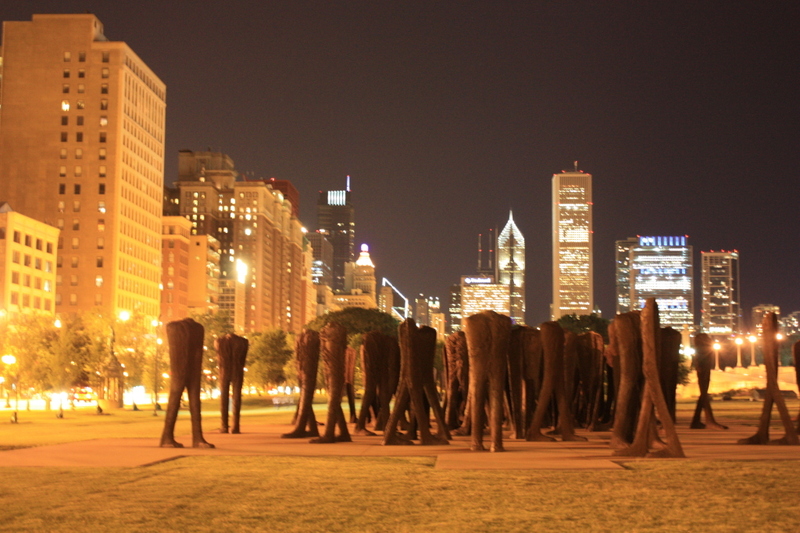 The Loop is an architectural playground like no where else on Earth. The best way to appreciate it is with a 360 degree view around you and the ability to look up, out and everywhere….on a bike. 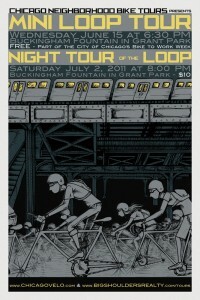 There are two versions of the Loop Tour. 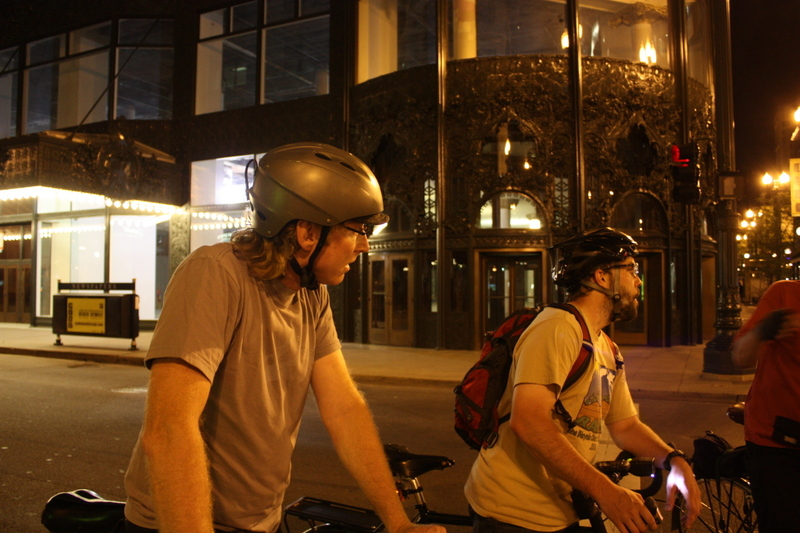 The Mini-Loop Tour is a free event held in conjunction with the City of Chicago for Bike to Work Week. 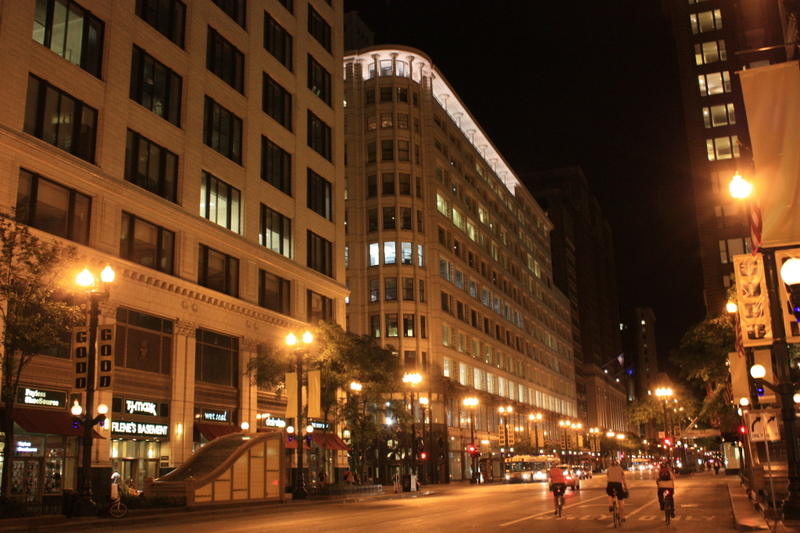 The Night Tour of the Loop focuses on buildings that look particularly brilliant at night.